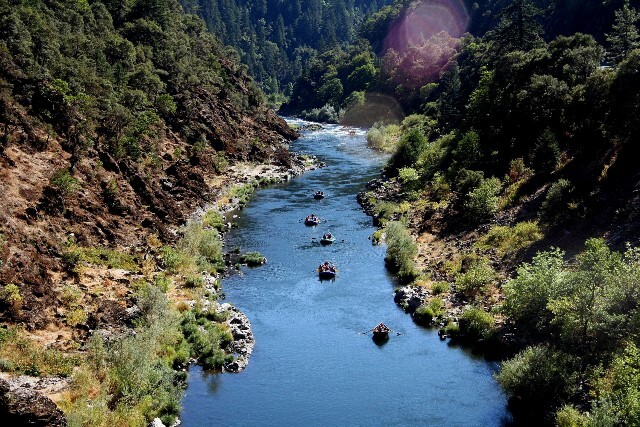 Right now, the Oregon Department of Environmental Quality (DEQ) and US Army Corps are considering crucial water permits for the pipeline that, if denied, could stop the entire project. 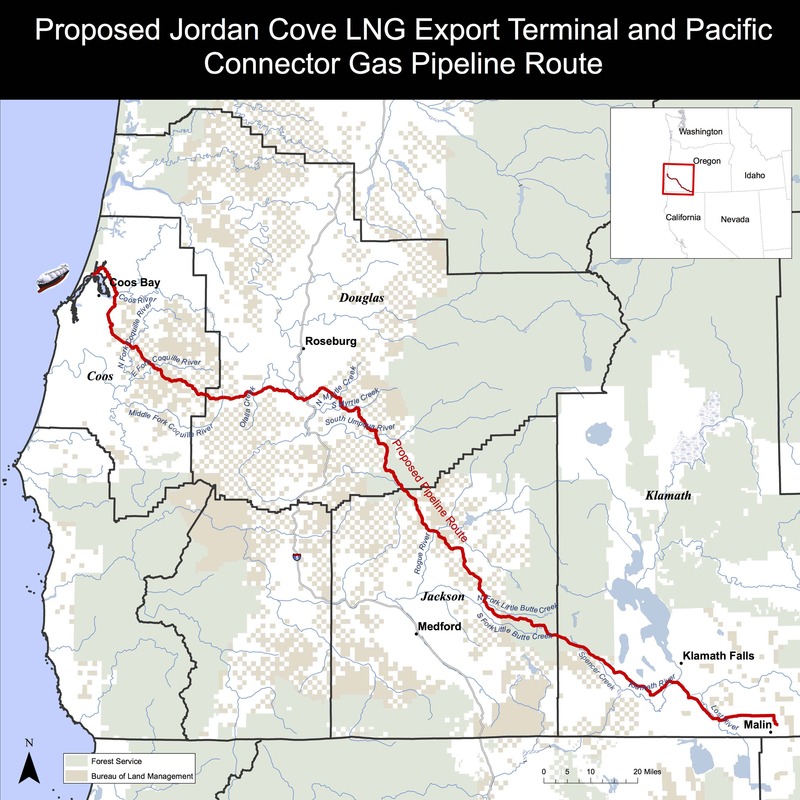 In fact, 7 years ago a similar LNG export proposal in Northern Oregon collapsed when the DEQ denied this same water permit! To submit your comment, click HERE. The pipeline would require a clearcut measuring 95 ft wide (at a minimum) extending the entire length of the 230 mile pipeline. In all, more than 1,300 acres of public forestland would need to be clearcut to make way for this pipeline, which would have devastating impacts to vulnerable forest ecosystems. This would require clearcutting old-growth forest along the PCT, most of which would be permanently maintained by cutting and spraying. Can you imagine having to cross this fossil fuel freeway while hiking the PCT? In fact, according to documents prepared by the Canadian corporation behind the project, the clear majority of the public forestland threatened by the pipeline is in reserve status, which means it’s supposed to be protected from logging. These iconic bird species depend on old-growth forests for habitat, however, after a 150 years of industrial logging practices only about 10% of Oregon’s original old-growth forestland remains. This includes five species of fish that are listed under the Endangered Species Act: green sturgeon, Lost River sucker, shortnose sucker, and two species of coho salmon. It’s worth noting that both state and federal agencies have gone to great lengths to protect these species from extinction, and yet our government agencies may attempt to approve this project despite these impacts. The construction and maintenance of a major gas pipeline would degrade critical fish habitat by eliminating tree cover, triggering erosion and landslides, warming streams, and increasing pollution of important waterways. The 77 miles of public land impacted by the pipeline is managed by the US Forest Service and the Bureau of Land Management (BLM), but ultimately this land belongs to all Americans. The route of the proposed pipeline would require clearcutting areas that are protected under the current Resources Management Plans, which means these plans need to be amended to legalize an otherwise illegal project. 1. Submit a comment to the DEQ and Army Corps. Ask these state and federal regulators to stand up for clean water by denying crucial permits that the pipeline needs to proceed. Take action HERE. Governor Kate Brown has the authority to deny this project for good. Call her today and ask her to stand up for our rivers, climate, and public lands by denying the LNG pipeline and export terminal! First photo by Alexander Harris: public land owners found where the LNG pipeline would clearcut old-growth along the Pacific Crest Trail (PCT). Second Photo by Alexander Harris: The S. Umpqua River would be crossed twice by the LNG pipeline on it's way to Coos Bay.